Due to course limitations and the safety of our participants we cannot accept any additional participants. 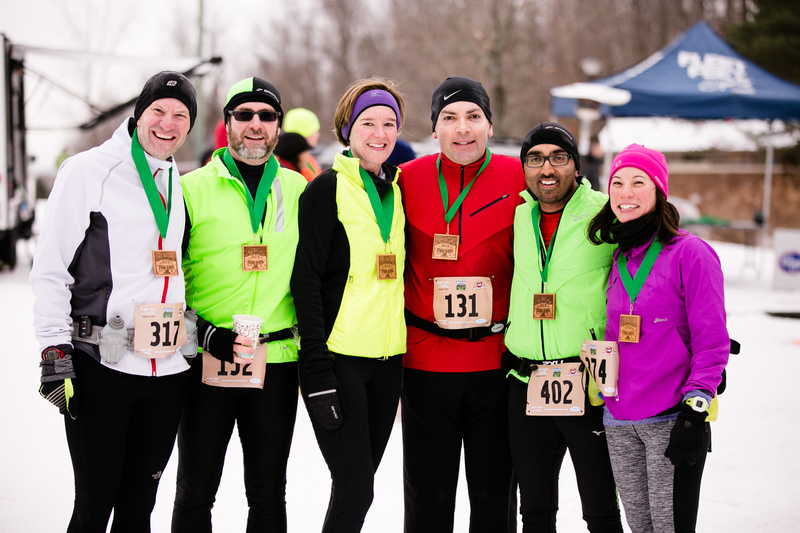 Please consider signing up for the 2020 Winter Series, the Hoot Half in August, or the Autumn Squatch 10K in November. Also stay tuned for a new event coming your way this summer! For 2020 our events will be held on Sunday, January 12th and Sunday, February 16th. 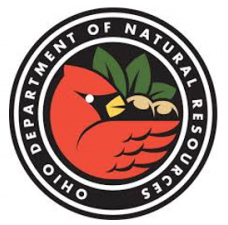 We are again partnering with the Ohio Department of Natural Resources to put on our 8th annual trail running series at Alum Creek State Park. 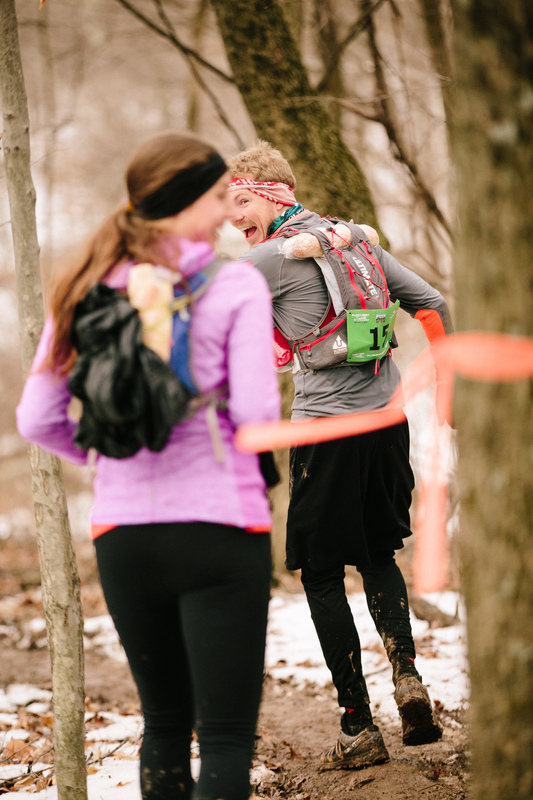 Just like in the past you have the option to sign up for 2 event dates and a WIDE variety of distances, on the only trail in Ohio built for runners, by runners, the Rocks and Roots Trail at Alum Creek! When – For 2020 our events will be held on Sunday, January 12th and Sunday, February 16th. Both races start at 8:00 am. Again this year we are starting the race in waves. Wave start times listed below. Where: Rocks and Roots Trail at Alum Creek State Park. The start of the race is located just off of Hollenback Rd and just south of the dog park(3993 Hollenback Rd Lewis Center, OH 43035). Watch for yellow Fleet Feet arrows pointing you in the right direction! The Central Ohio Trail Running Community continues to grow and we are excited to provide you with the resources our trail community needs! Join the Rocks and Roots Trail Runners Association for training runs and trail works days as we ramp up for the annual Rocks and Roots Trail Series! Train for the series along with Fleet Feet Trail Crew! The group hosts two organized workouts per week, on Saturday mornings at 7am, and Thursday evenings at 7pm! They offer training programs from 10K to 30K, and will support those of your crazy folks training for a 50K as well with a training plan, but you may run a few solo miles 😉 Learn more here. 1 Pair Balega Socks, 2 gels/bars from CLIF! Finisher Medals to all participants. Belt Buckle to double 50K finishers! Please note: The Rocks and Roots Trail Series has a NO REFUND and NO BIB TRANSFER policy for all events. The Course: The Rocks & Roots Trail Series is aptly named as there are a LOT of rocks and roots. You will encounter stream crossings. Rocks & Roots are likely to be covered by leaves, snow, and or mud! See map below! There will be at least one water crossing depending on course conditions! Please walk and run only on marked trails. Running off trail, including just off to the side of the worn path, damages the ecosystem, and causes unrepairable damage to the trail. The course is comprised of two 10K loops held primarily on single track trail. Runners will run the north and south loops in a figure 8. 1st loop runs to the NORTH loop and is run clockwise, 2nd loop is run SOUTH and is run counter-clockwise. Repeat as necessary! Loops are repeated as necessary based on selected race distance. Drop Bags: We will have a tent (or two or three) designated for drop bags located at the 10K loop start/finish, and can be accessed after completing each loop. The course closes for 50Kers at 4:00pm (8 hour limit – 15:27 pace for 50K). All 50K participants must begin their 4th lap before 1:00pm. All 50K participants must begin their 5th and final lap before 2:20pm. Packet Pickup: Two separate packet pickup dates for each event. 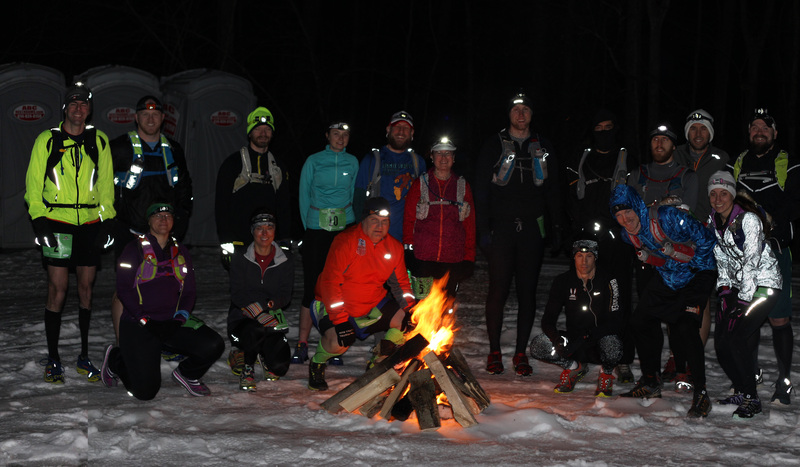 Race day – Starting at 7:15 a.m. No trail running package pickup. Shirt and bib pickup only! Parking: Parking can be found in the lots surrounding the start/finish area. Training Runs: Join our Rocks & Roots Trail Runners for fun, FREE group runs at EVERY Tuesday night at the Rocks and Roots Trail! You’ll get a chance to preview the course as well as check out the new sections as we are building them! Click here for dates and locations!